Sneakers There are 312 products. The sneakers are gym shoes, originally was used just for a sport scope, but now are wear commonly in casual dressing. The original function for the sport activity it's been implemented over some years, with a tecnological progress, and now the model made are realized by innovative materials that makes the gym shoes more performant. 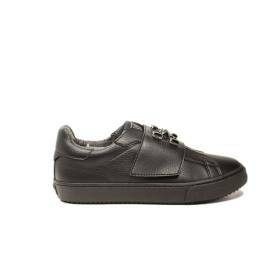 Le sneakers sono scarpe utilizate originariamente in ambito sportivo, mentre attualmente vengono utilizzate anche con l'abbigliamento casual. Time by time this shoes takes an evolution, flaunting all his femminility without forgot that are shoes for sport with some touch thanks to the evolution takes this shoes. Between the best brands italian, the propose for the woman sneakers are endless, in fact Young Shoes choose just Brands where exist the quality and style. 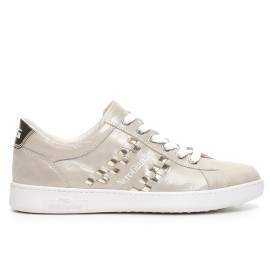 The sneakers are shoes really comfortable and adapts to all the youngs or not, exist various model, a wide range unmissable for wo loves the sport but don't want renounce the side sports, The sneakers are shoes also femminin and available on our store Young Shoes. 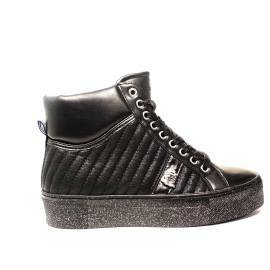 Alot of brands contain a wide range of sneakers, like sneakers nero giardini, versace jeans, fornarini, calvin klein, blauer, versace and many more. 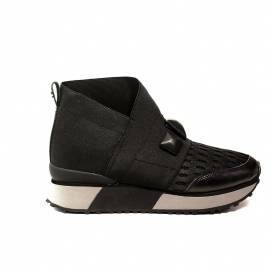 Very ofter the neakers shoes are completely light with a plateau and heel that, rise again the heel lightly with a sole in soft rubber and comfortable. The sneakers more comfortable are for sure some realized in skin, that can wear quietly 10 hours consecutive, without feeling tired. Don't forget also the actual very light in canvas, in various colors and summer shapes and vibrant, but also some super technique for running, realized with process and tissues forefront encouraging more stability to the foot. In this way the joints are not stressed eccessive like when is wear flat shoes that makes the same height on all the foot: frome the toes to the heel. Ideal for the gym or witha a gynnastic suit fashion, for the shopping with a jeans and a shirt trendy, or at home with a leggings, a oversize sweatshirt, who said are no feminine? When we walk, in the way really natural placing on the soil first the hell and after the point, the plateau permit to amortise the friction and makes the walk more fluid, fast and comfortable, the posture proper to the figure, and gives many improvements an all the body! The femininity, sometime, is not the simplicity itself? So the only things is get comfortable, and visit our store Young Shoes Salerno and see alot of catalogue of sneaker made available for you, with a simple click you can have your pair of shoes at your home. Choose your model: flat, plateau, canvas, solid color or colorful, colored or with classic colors, with sneakers is never a mistake!